Easy-to-use ready mixes for tabletting. Tailor-made & easy to use. Direct compression – easy & fast. For years it has been apparent that direct compression of oral dosage forms is becoming increasingly popular in industry. New technologies and excipients make it possible to simplify this production stage. Some wet granulation products can now easily be converted to direct tabletting. Weighing, mixing, lubricating, pressing – sounds simple, it usually is. 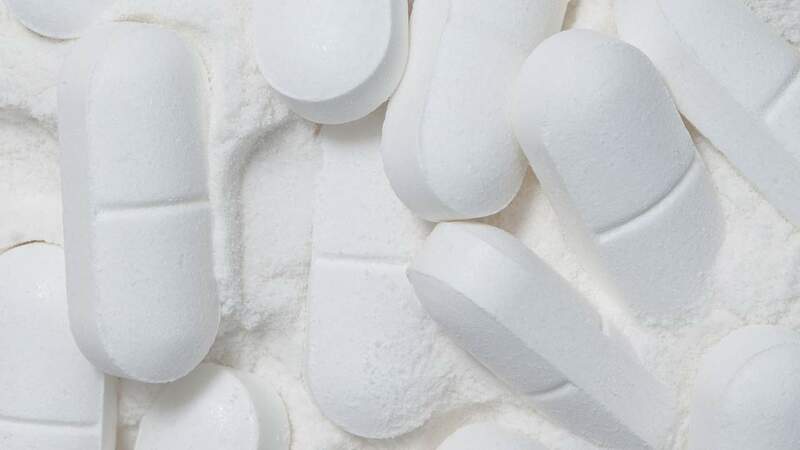 The success of a perfect direct compressed tablet depends on the amounts of active ingredients and excipients in the tablet mixture, their different particle sizes, flow and compression properties and sensitivities to moisture. Ultimately, the tablet hardness must be so strong that it has a low fragility. Thus, bursts at the tablet web and dust formation during further processing can be avoided. Nevertheless, the tablet should be easily divisible if it has a break notch. If retardation is desired, it should not miss the desired release profile. Our excipient blends for direct tabletting are tailored to these properties. They specifically affect the property that is to be improved, adjusted or eliminated. Our innovative tabletting excipients help replace other undesirable excipients. Keyword “Clean Labelling”. Ready-to-use – simply add 0.5-10% of our binders and lubricants to the tablet mass and mix. Homogeneous dry milling of moisture-absorbing excipients such as silicon dioxide, calcium carbonate, MCC and/or talc. Neutralises bad-tasting active ingredients. Important for uncoated tablets. upon customer request, components can be changed, supplemented or reduced.